VIDEO SALES TIP: Little Successes Each Day. Can You Do It? 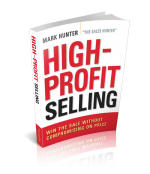 If you are waiting for a huge jump in your sales career, you might be waiting quite awhile. A better approach is little successes every day that then add up to better opportunities. Climb your way up step by step.